NOTE: Member ($45) with guest ($55) will cost a total of $100. TO ADD YOUR GUEST: click on the "ADD GUEST" button at the bottom of the registration form and enter the guest information, as indicated. Thank you. Registration Fee includes Badger Bus Charter Service with Wi-Fi and guided tour of the Pullman Historic District. 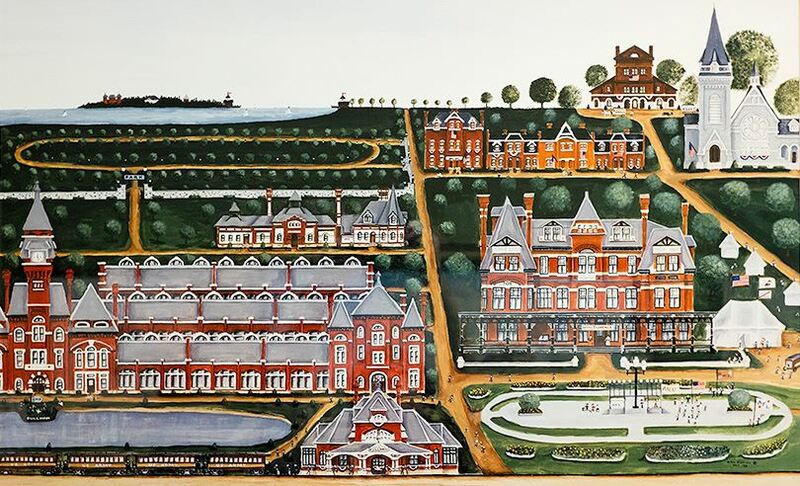 The Pullman Historic District, located 16 miles south of downtown Chicago, was the first model, planned industrial community in the United States. 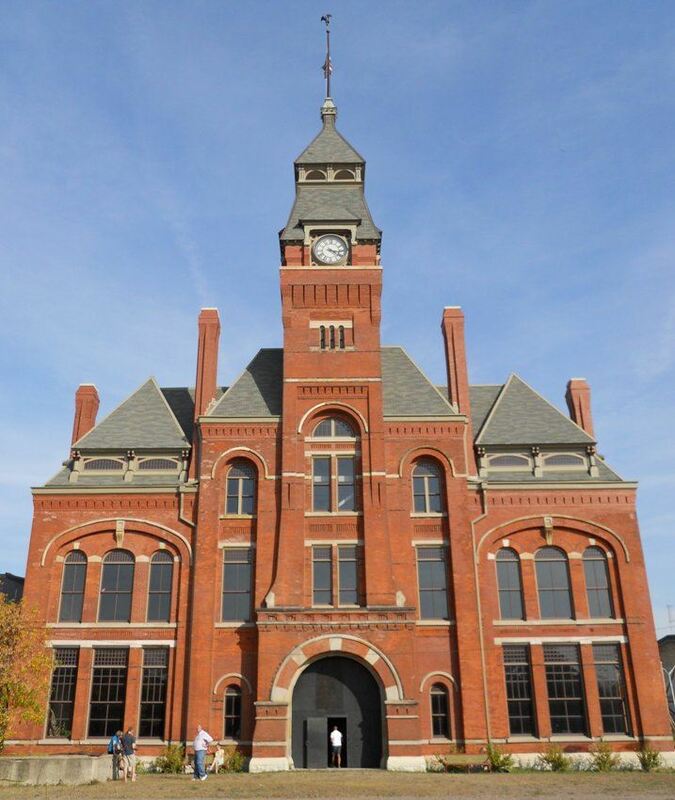 The district is significant for its historical origins in the Pullman Company, one of the most famous company towns in the United States and scene of the violent 1894 Pullman strike. It was built for George Pullman as a place to produce the famous Pullman sleeping cars. It was listed on the National Register of Historic Places in 1969, declared a National Historic Landmark in 1970, and named a National Monument in 2015, making it a component of the National Park System. 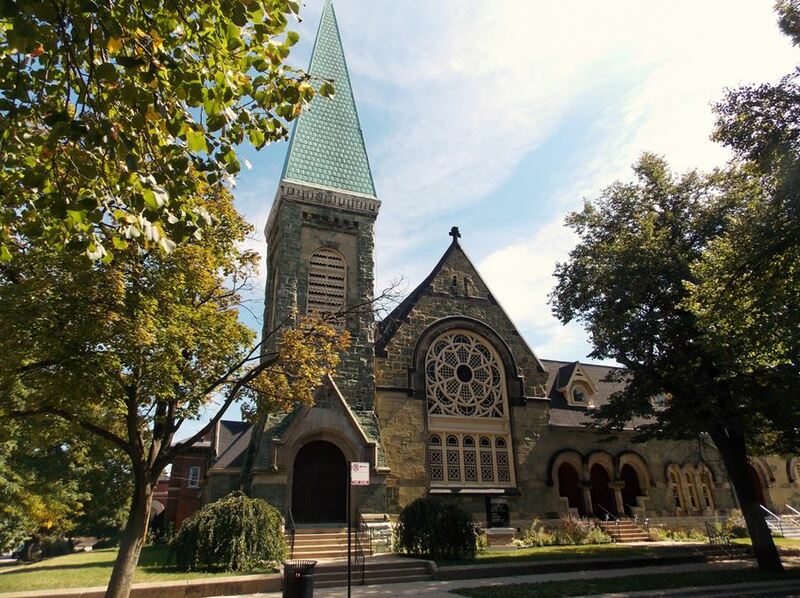 Pullman is a unique community that blends the history from many different disciplines in a fascinating touring experience. Visiting this area today brings you into that history and also into a new sense of place, seeing the community as it is today. The Visitor Center is fully handicapped accessible. They can also provide amplification devices for the hearing impaired to be used during the video presentation. 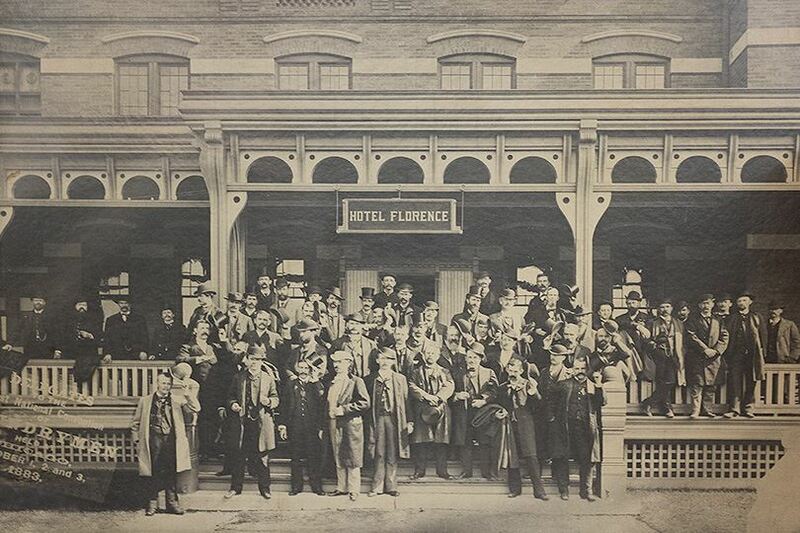 Then we will take a docent-led, approximately two-hour, guided walk of the town and learn about the history of Pullman, its architecture and the landmark community today. During the tour, we will experience a walk back in time - almost all of the original 1880s housing and many original public buildings comprise the district today. We will learn the story of the town's beginnings, its history, and the restoration work being done today. The walking portion of the tour will be in a small geographical area (4 x 4 blocks) and will be a look at the exterior of the buildings only (the visitor center is the only building where we will be going inside). If the weather is inclement, at the discretion of the PLATO trip leader, the tour will be given on the bus. But we will try to make it a walking tour if at all possible so dress accordingly (fyi, the average high temperature for Chicago for April 8 is 56 degrees). Lunch is on your own. You will have two options for lunch as the bus will make two stops. You will have 1 1/2 hours for lunch. Our first stop will be on 53rd street in the Hyde Park section of Chicago where you will have your choice of many restaurants within a three block radius (see 53rd Street Restaurant Map). - Valois Restaurant - 1518 E 53rd St - A counter-service smorgasbord of American comfort food served in a casual, muraled space. A favorite of Barack Obama. Cash only. - The Promontory- 5311 S. Lake Park Ave. West - Stylish, modern eatery with open-hearth cooking & a conceptual menu. Serves a weekend brunch. - Mellow Yellow Restaurant – 1508 East 53rd St. - Casual spot featuring American fare, crêpes & a full bar in nostalgic '70s wood & brick digs. - Sit Down Cafe – 1312 E 53rd St, - Sleek, stylish cafe featuring pizza, sushi & sandwiches plus a full bar, smoothies & coffee drinks. - Cafe 53 – 1369 E 53rd St - Small, laid-back coffeehouse pairing its java with sandwiches, ice cream & free WiFi in cozy digs. - Cedars Mediterranean Kitchen – 1206 East 53rd St. - Falafel, shawarma & other regional dishes served in sleek, modern surroundings with BYOB. - Pockets – 1307 E. 53rd St. - Pita sandwiches & salads are the mainstays at this casual counter-service chain. - Red Snapper Fish, Chicken and Grill – 1418 E 53rd St,. - Serving freshly prepared seafood and chicken. - Jolly Pumpkin Pizzeria– 5215 S Harper Ave. - Rustic-chic setting for house-brewed beers, pizza, burgers & bar food with TVs & a seasonal patio. - Pizza Capri - 1501 East 53rd Street - Thin-crust pies & Italian sandwiches, wraps, pastas & salads in a casual setting. - Native Foods Café - 1518 East Harper Court - Chain for creative, Californian-style vegan fare, including mock-meat dishes, ordered at a counter. - Ja’ Grill Hyde Park – 1510 East Harper Court - Curries, jerks & other Jamaican specialties in an upscale-casual space. - Nandos - 1447 E 53rd St. - Afro-Portuguese chain restaurant serving flame-grilled chicken in spicy chili sauce. - Boston Market - 1424 E 53rd St. - Counter-serve chain dishing up American comfort fare such as rotisserie chicken in a simple setting. - Roti Modern Mediterranean - 1526 E. 53rd St. - Quick bite, healthy options, hip. The bus will then make a stop at Nella Pizza e Pasta which is about a mile from the 53rd street restaurant cluster. We will eat at a group table. Nella Pizza e Pasta - 1125 E 55th St - Neapolitan pies from a special oven, pasta, antipasti & salads pair with cocktails & Cal-Ital wines. Please Note: The Pullman Historic District Field Trip bus is shared with PLATO members and guests participating in the Guess Who’s Coming to Dinner theater trip. Each trip is allotted 28 seats. 7:20 AM Bus arrives at Oakwood University Woods to begin boarding.